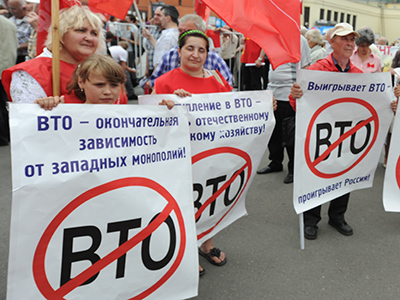 The State Duma has ratified the protocol on Russia's accession to the World Trade Organization (WTO) despite protests by the parliamentary opposition parties. 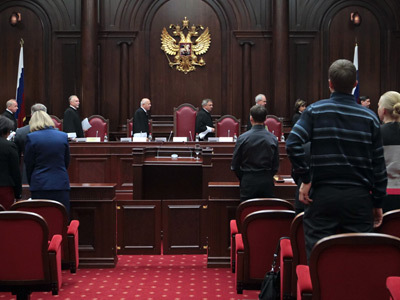 The document that opens for the country a door into the world trade club was supported by all members of the majority United Russia (238 deputies). 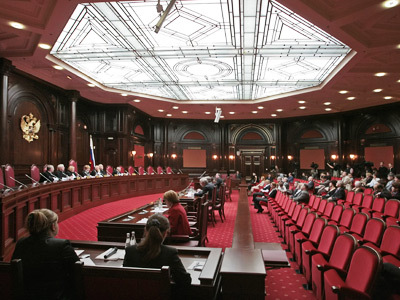 Members of opposition factions – 201 deputies from the Communist party, LDPR and Fair Russia – voted against. 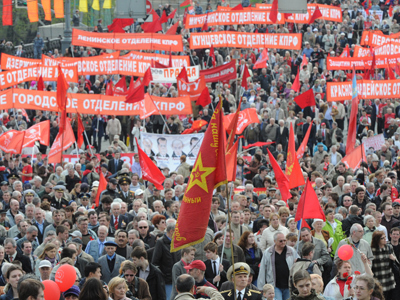 Earlier on Tuesday, a group of protesters representing the Communist Party (KPRF) gathered in central Moscow, waving banners reading "WTO accession – road to the abyss!" and "WTO will strangle Russia!" “We believe that the increase in prices of many goods will at least considerably slow down,” said Economic Development Minister Andrey Belousov. The minister also stated there is no danger of a rise in unemployment following Russia's accession to the WTO. At the same time, Belousov admitted that the country's budget may lose up to 188 billion rubles (US $ 5.6 billion) next year and 257 billion rubles (about US $ 7.7 billion) in 2014 as a result of Russia's entry in the organization. However, he said, real losses are expected to be smaller because of overall trade growth. According to the development minister, many industries will stand to gain from joining the organization as it will open up export markets for them and attract investments. 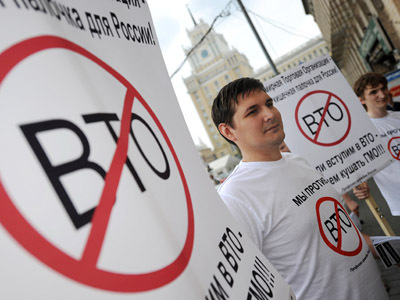 The KPRF, however, fierce opponents of WTO accession, insist the move will destroy Russian industry and agriculture. 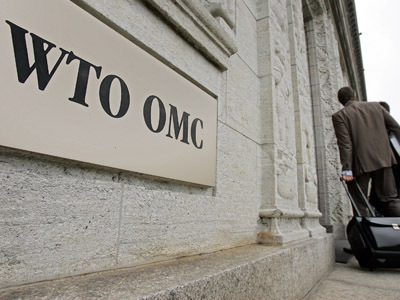 Meanwhile, the Liberal-Democratic party (LDPR) believes there will be more negative rather than positive consequences from Russia's entry into the WTO. The move will not boost the economy and the country will lag behind other members of the club, which is ruled by transnational companies, outspoken party leader Vladimir Zhirinovsky stated. The WTO accession protocol was signed in Geneva on December 16, 2011, following 18 years of negotiations. To become a fully-fledged member of the group, Russia had to ratify the document by July 23.